I can say with complete confidence that Sunset is unlike anything I’ve experienced before. 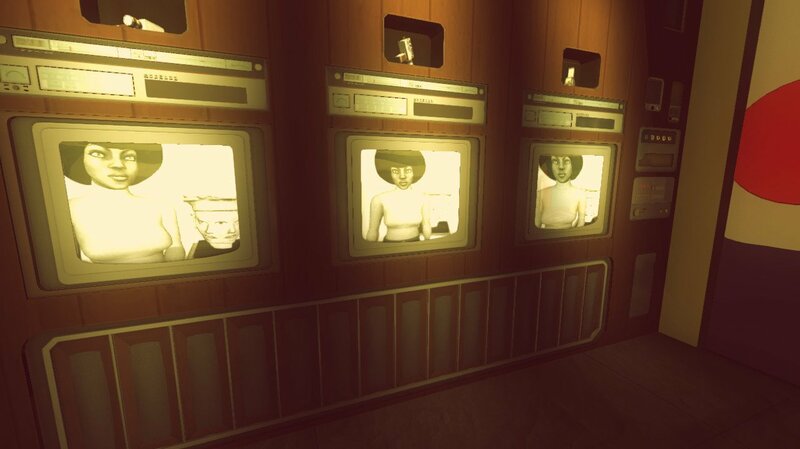 While I hesitate to refer to the experience as merely a ‘game’ since it is so much more than that, it would be accurate to at least describe it as an incredibly unique and intimate experience. Everything starts in an elevator. There’s a piece of paper with written instructions like “clean the floor” or “unpack the boxes” scribbled down. Quickly, you start to realize that you’re playing the role of Angela Burnes, a black housekeeper who fled Baltimore for Latin America, and are tasked with tending and cleaning a powerful and connected Latin American man’s apartment. Simple enough, right? Well, things become complicated within a matter of minutes. What starts out as merely unpacking boxes, hanging pictures, and cleaning windows, very quickly begins to feel like more of a private peek into someone’s life. As you unpack boxes and arrange furniture, Angela comments on his taste (or lack thereof) and what it could mean about who Mr. Gabriel Ortega could be. Once you finish your first day, you come back each successive day via the elevator. Each time, there are different tasks for you to complete before sunset – but the actual necessity of the tasks is much more vague than any other game I’ve played. In most exploration-based game like this, the developers feel overly encumbered with making sure they check all the right boxes of making it feel like a game and having requirements for players to progress. Instead, you can leave his apartment without finishing your tasks, you can do the tasks in such a way that it could influence your relationship with him, and many other variations. This is at the core of what makes Sunset so magical: it successfully portrays the mundane tasks that often go overlooked in everyday life in such a way that it creates a newfound appreciation for the formerly forgettable. Instead of simply organizing Mr. Ortega’s papers at his desk, I could also slip a note that flirtatiously offers additional services. You have the opportunity to peruse through his letters and magazines and books with so much intricacy, it starts to feel like you’re actually invading someone’s privacy. However, Sunset isn’t just a housekeeping simulator. 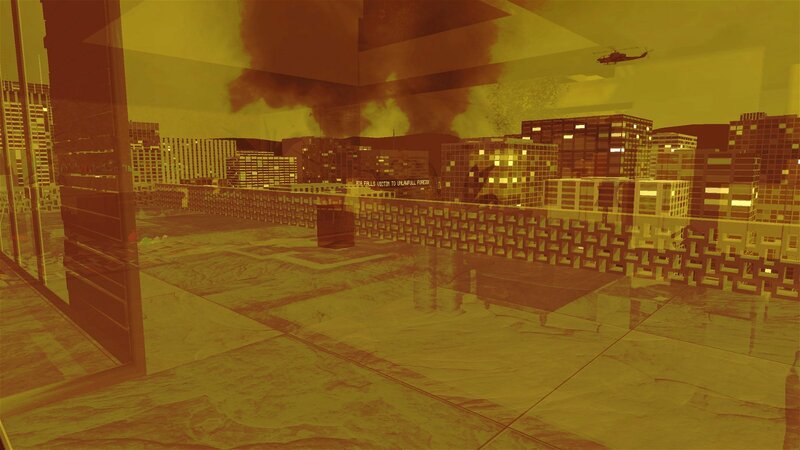 The game takes place in Latin America in the 1970s during a time of civil unrest. At one point, Angela questions why Mr. Ortega, with all of his money, connections, and power, does not leave the area and flee for safety. 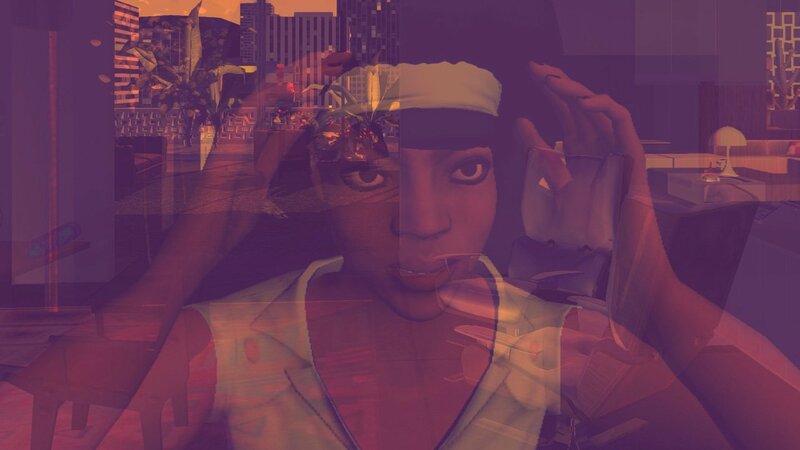 Moments like these, where Angela removes the barrier between the player and her mind, are the moments that make Sunset such a special experience. You’re not controlling a lifeless avatar through the motions of her boring job, you’re living the life of a character with emotions and thoughts all her own. It’s not a linear experience either. Whether or not you complete your tasks, which tasks you choose to complete, and the way in which you complete them all have a profound effect on the narrative, as it shapes the way in which Angela views Mr. Ortega. Instead of looking at his unpacked box with disdain and viewing him as lazy, perhap she will instead conclude that he is a man of mystery that doesn’t want to rush things. It’s an incredible system that truly takes into consideration the nuances of how you play the game and is able to accurately adapt and iterate based on what your influence. In spite of this, all of the magic that’s wrapped up inside the stylish and thoughtful package still lacks substance and direction. 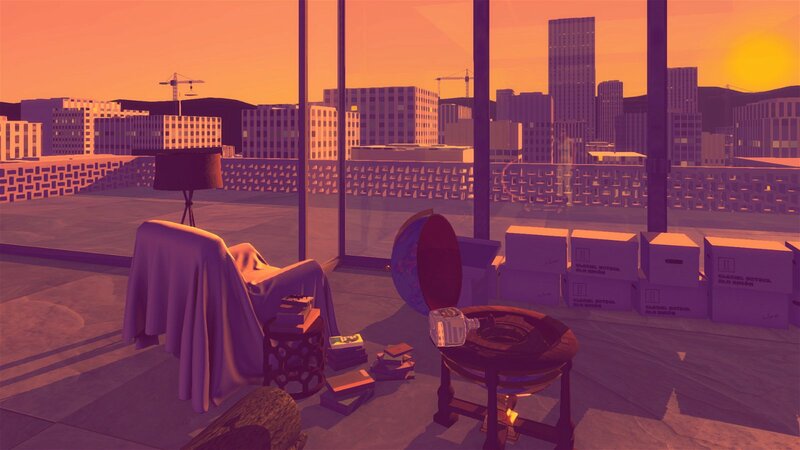 Granted, part of what makes these types of exploratory narrative games so immersive is the lack of direction, but at the same time, Sunset can be difficult to decipher at times. 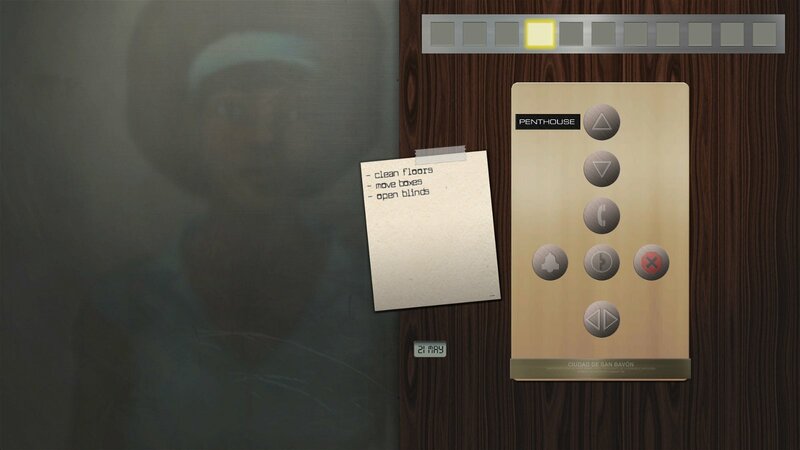 I didn’t find the instruction page that actually describes how you can influence their relationship and choose not to do things until well over an hour into the game – it’s an option for one of the elevator buttons. 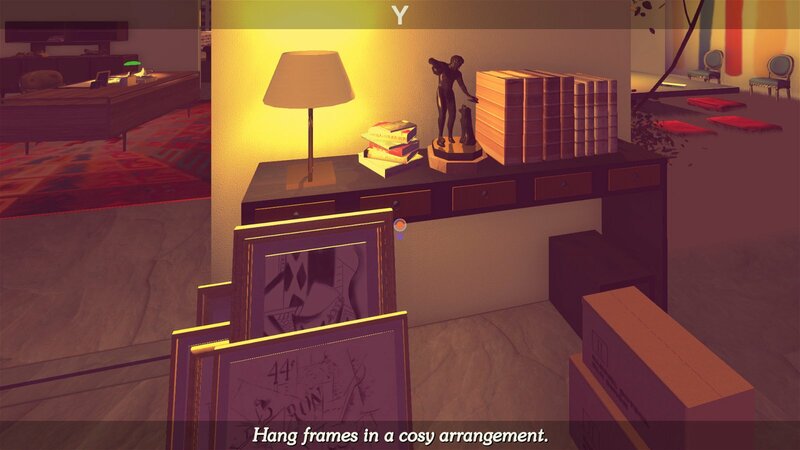 While the game’s beautifully minimalistic setting and atmosphere speak to both the nature of the characters that they frame, as well as the setting itself, the apartment can be incredibly frustrating to navigate. Angela easily gets hung up on corners and furniture, which seems like an unfortunate way to hinder immersion, given the otherwise lack of any reference to the experience actually being a game. Each time I exited Sunset though, it left me with a thought that grew inside of me until I returned to the strange and off-centre world. The throw-away thoughts Angela has while walking the halls of Mr. Ortega’s apartment may not mean much to her when she says them, but they stuck with me for days on end. Sunset should be experienced by everyone just to see this precise and thought-provoking work of art, if not just to see something different for once. Sunset is a beautiful window into the lives of two independent and drastically different fictional characters. Throughout the experience, the game slowly peels back layers that reveal more and more details over the course of several sunsets. It’s both intimate and distant while remaining completely immersive. Sunset isn’t just a housekeeping simulator. 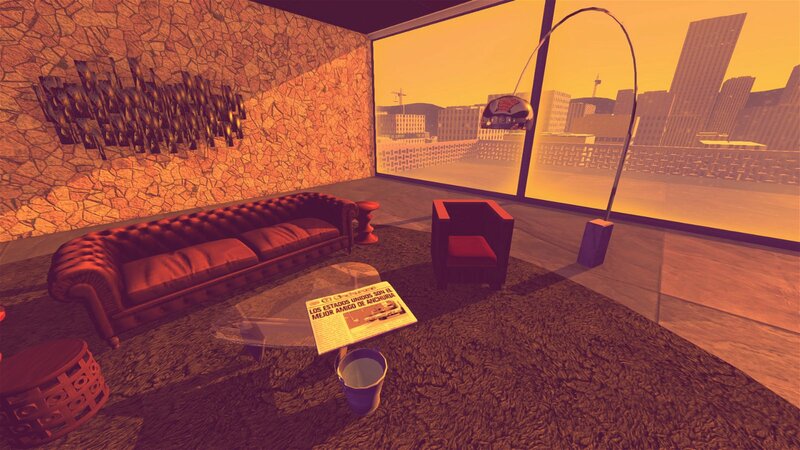 The game takes place in Latin America in the 1970s during a time of civil unrest.